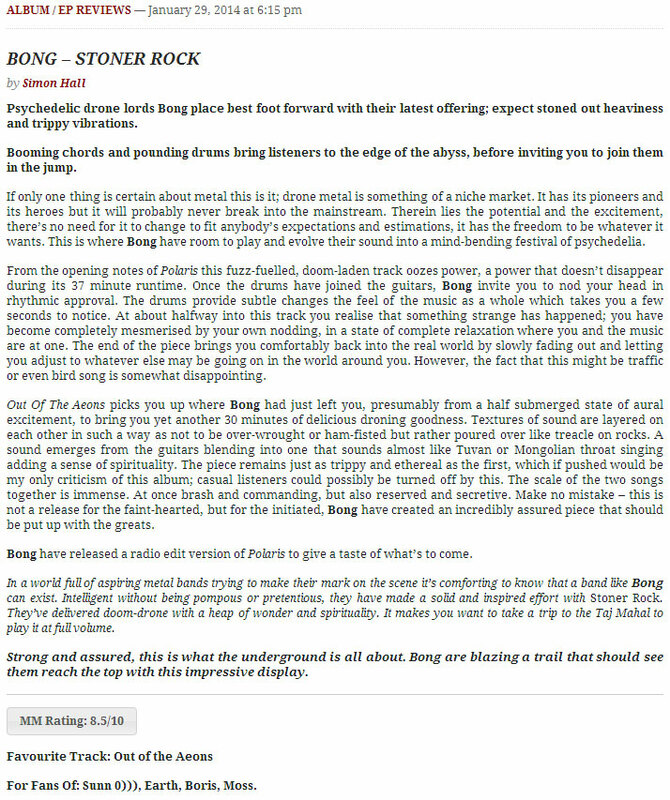 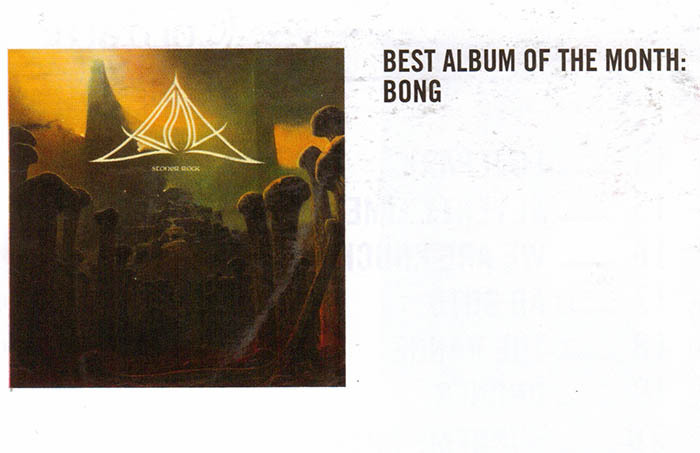 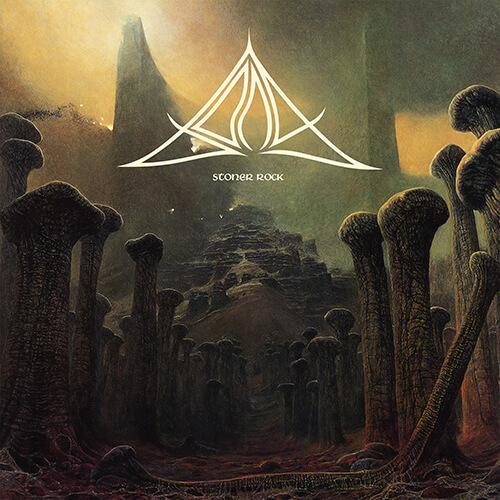 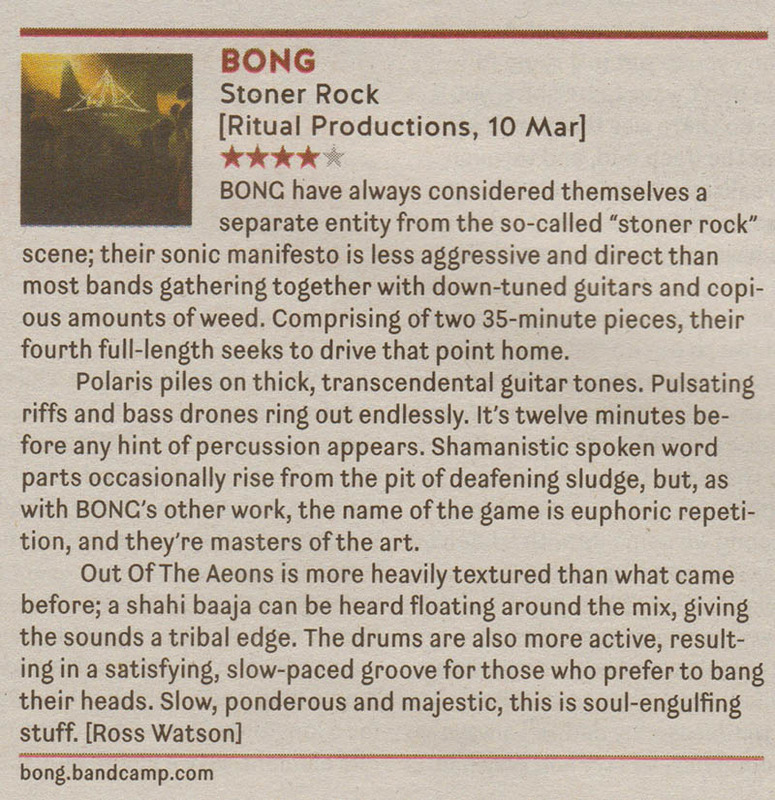 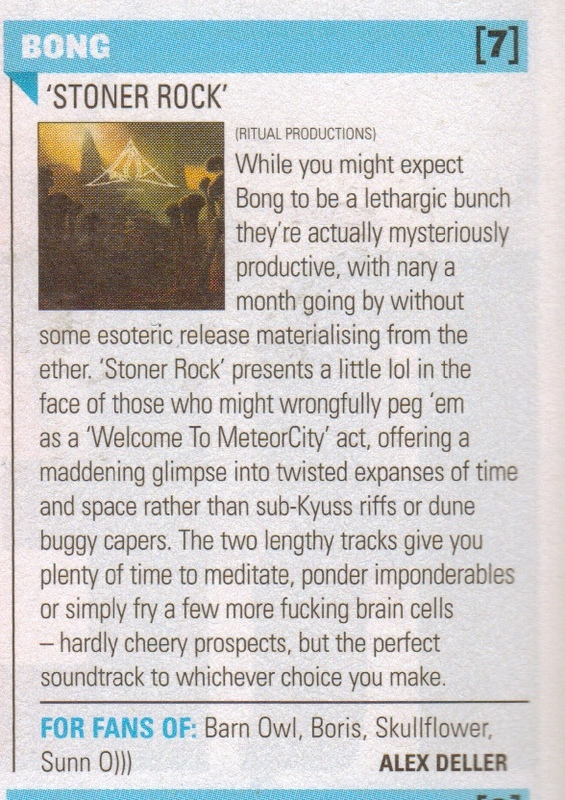 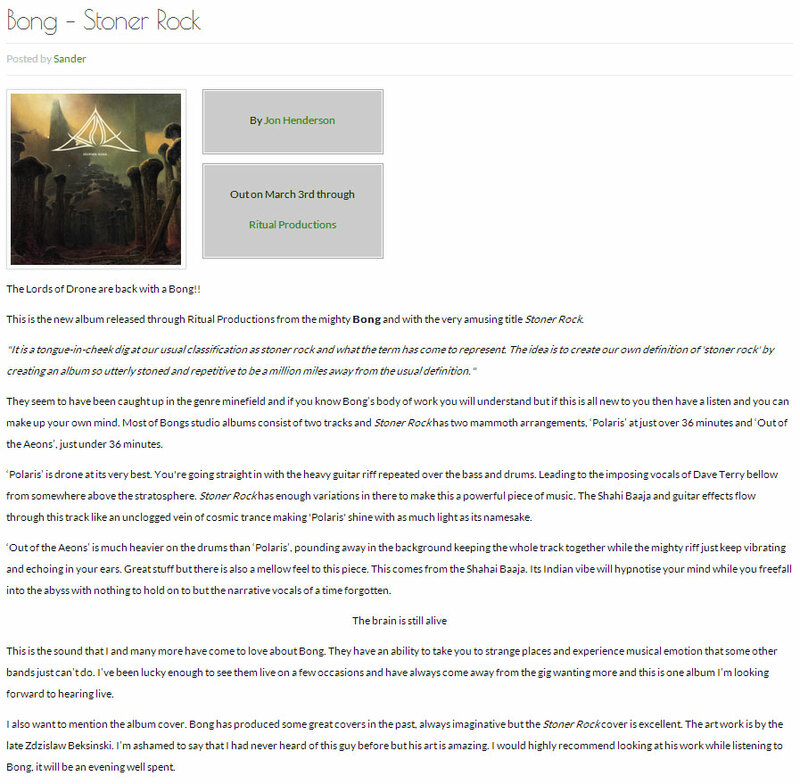 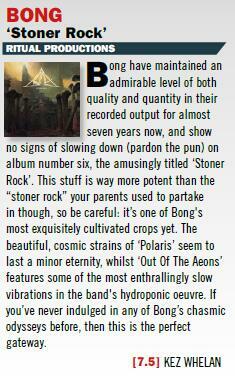 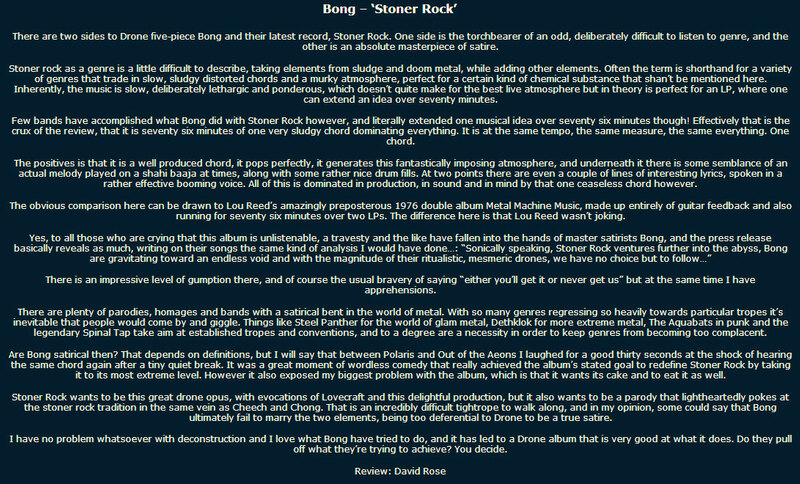 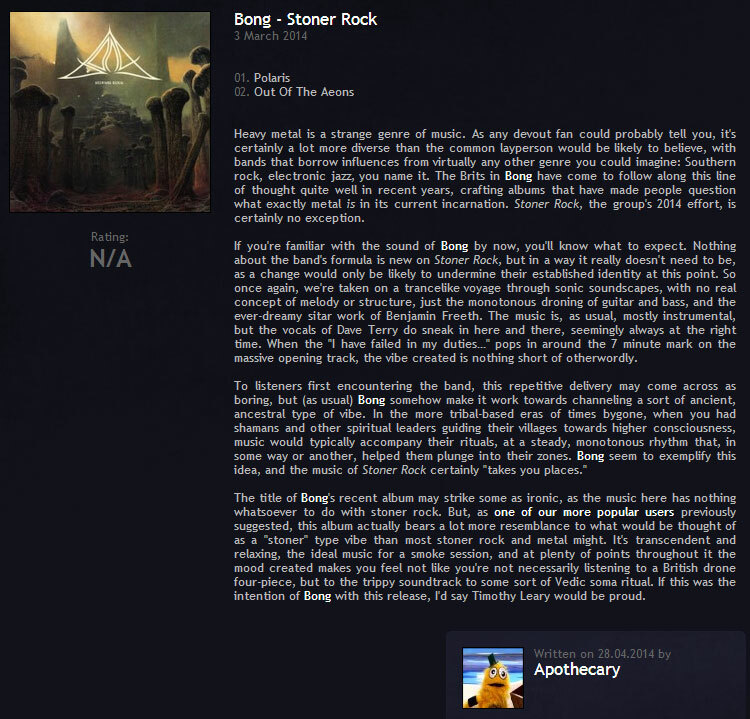 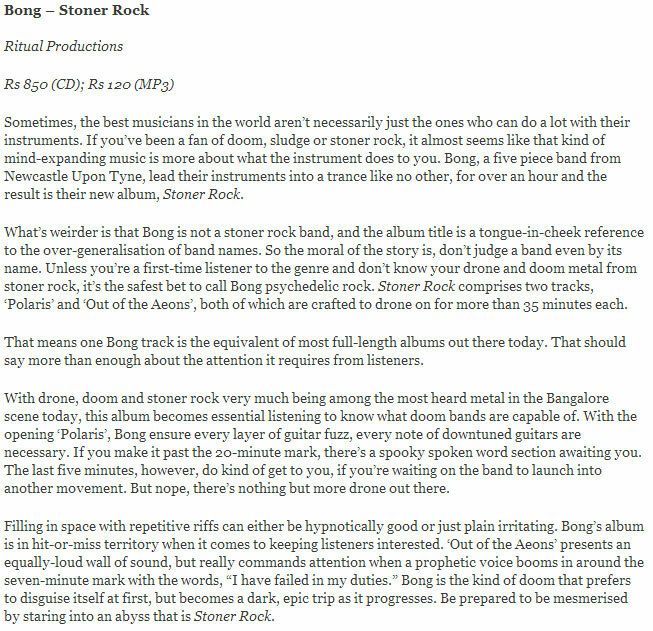 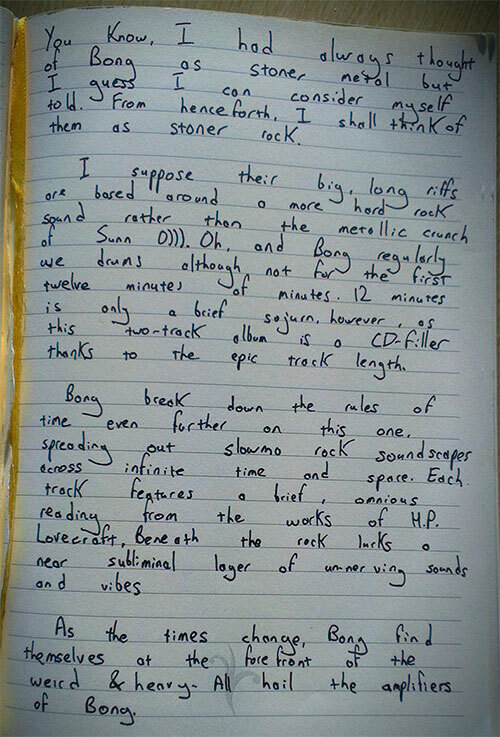 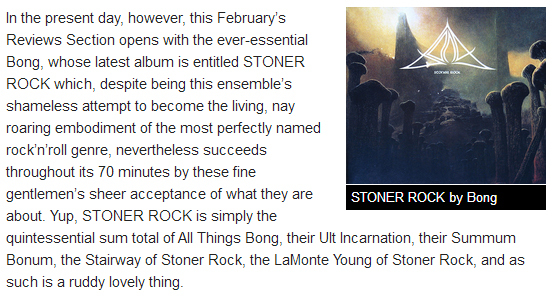 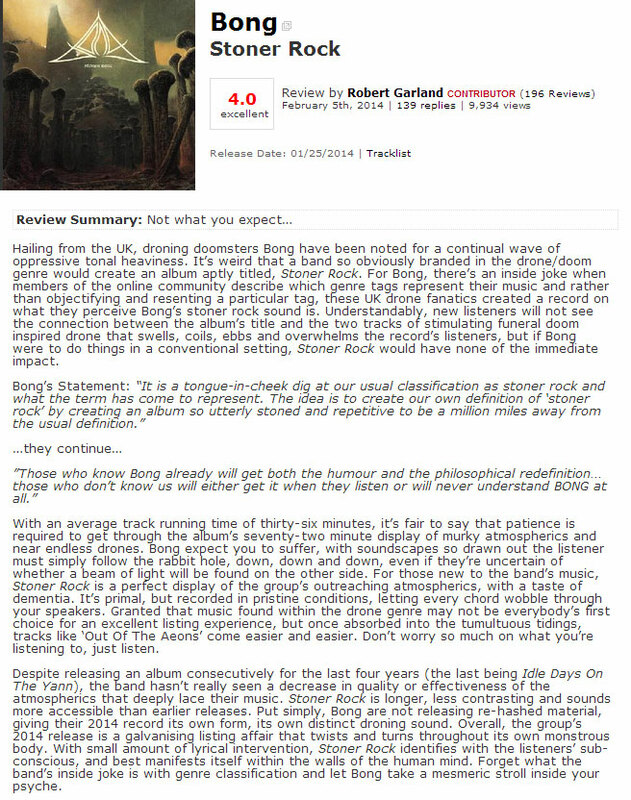 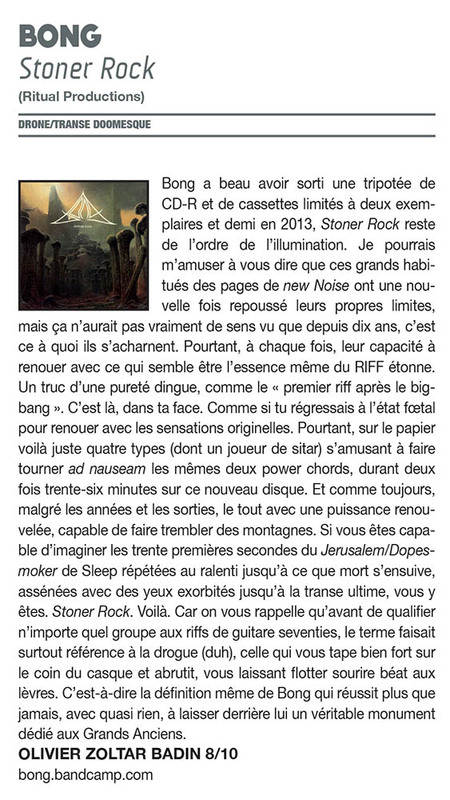 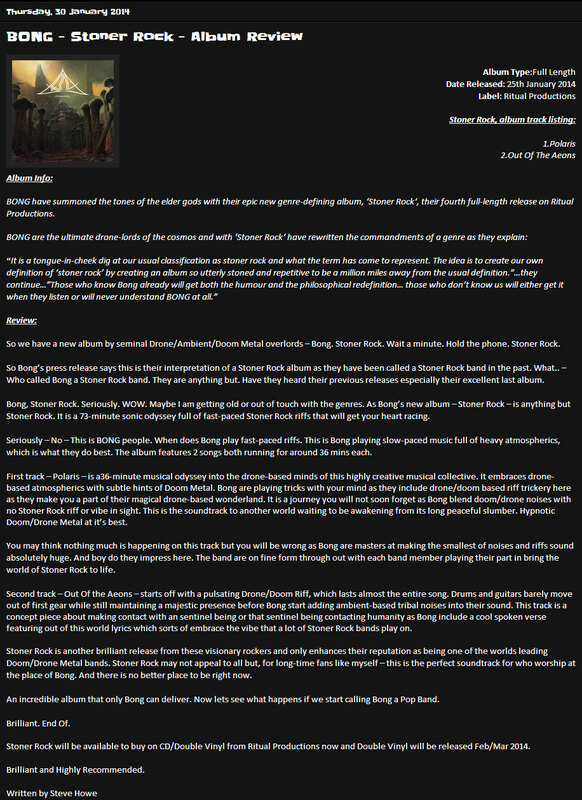 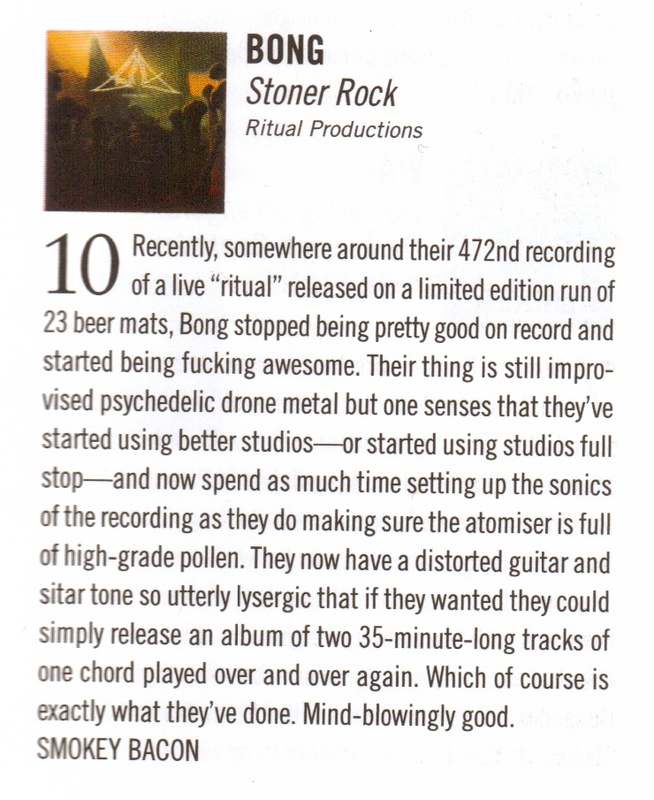 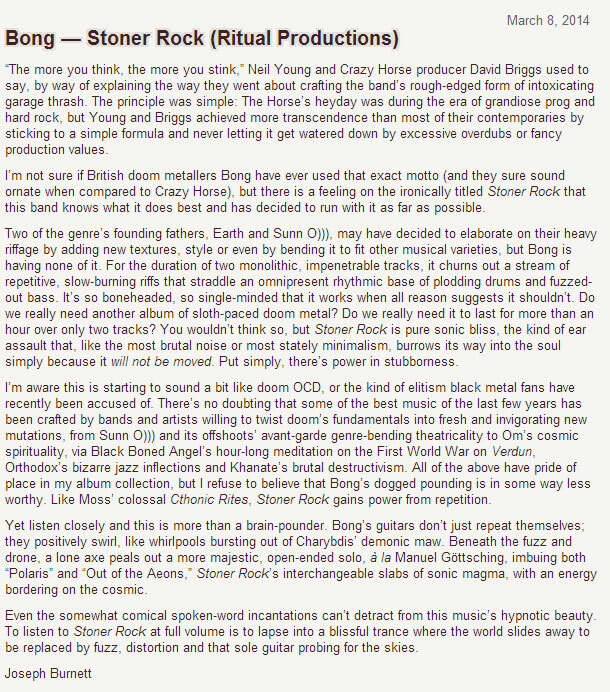 Bong have summoned the tones of the elder gods with their epic new genre-defining album, Stoner Rock, their fourth full length release on Ritual Productions. 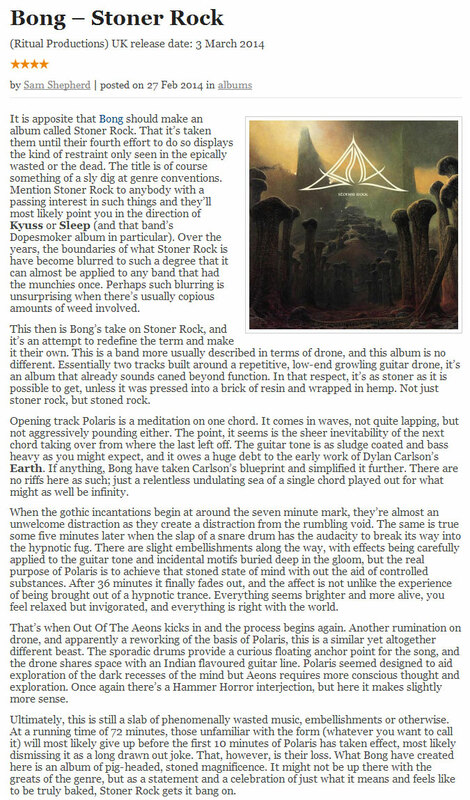 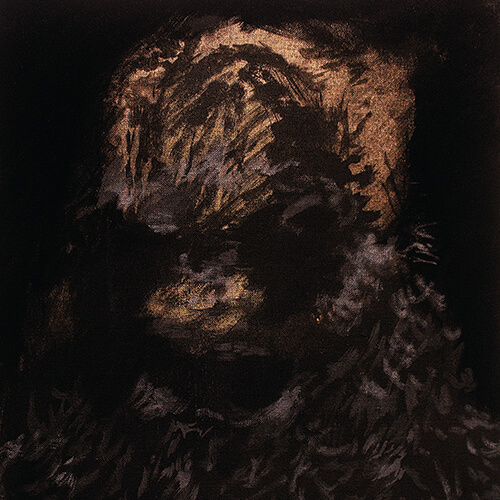 180 gram double LP available in black and ‘Earth’ splatter (clear dark green with sand and stone splatter). 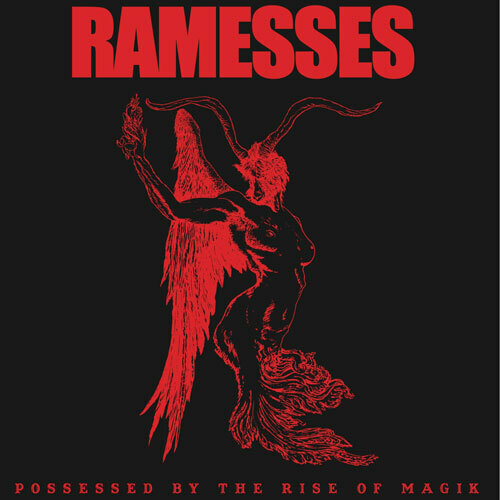 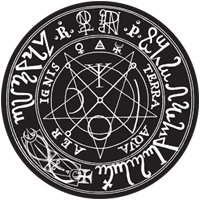 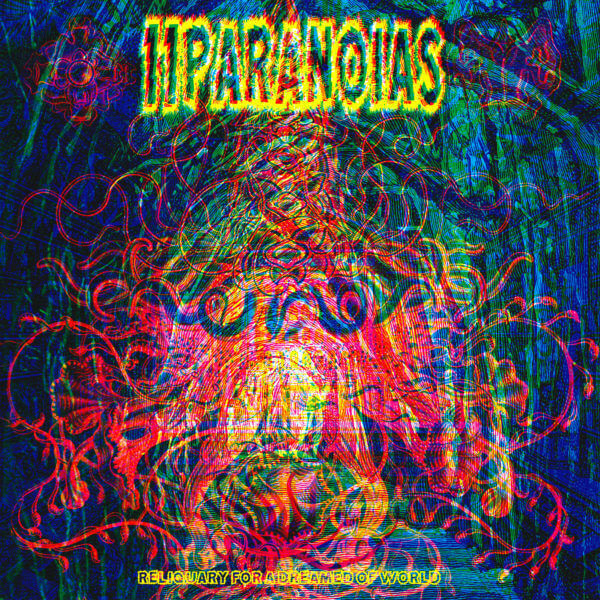 Embossed gatefold sleeve with 12″ x 24″ double sided poster insert, and full colour vinyl sticker.